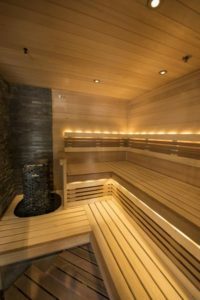 Is regular sauna use the 3rd Pillar of Health? August 10, 2018 – For years, many medical professionals and scientists have concluded that there were two pillars of health important to manage in order to live a long healthy life: diet and exercise. Now, because of the number of studies out on sauna bathing and its numerous health benefits, some are considering making sauna use the 3rd Pillar of Health. The health benefits of regular sauna use are hard to ignore. Research over the last few years have concluded that using a sauna 4-7 times a week does amazing work to your body’s cardiovascular system, dropping the risk of heart attack, stroke, and high blood pressure a stunning 37% to as much as 83%! This is especially exciting, as sauna use for the most part isn’t discriminatory based on weight or other health issues that might prevent one from regular exercise. If your doctor signs off, you can absolutely incorporate sauna use to assist with improving your health where exercise may not be an option. The benefits don’t stop there. Here’s a list from other studies that have shown sauna use helps address, slow down, or prevent: psychosis, headaches, arthritis, lung illnesses, decreasing inflammation, and boosting the immune system. One study from Japan suggests it helps with mild depression. Forcing your body to cope with higher or colder temperatures regularly—like the heat you would experience with sauna bathing—is known as environmental conditioning. In the case of a sauna, exposure to elevated temperatures for 20-30 minutes minimum seems to cause the body to react the same way it would to physical activity: the heart is challenged similar to a workout, increasing the heartbeat rate to 120-150 beats per minute; hormone levels fluctuate the same way it does when you exercise. Ready to incorporate the 3rd Pillar of Health into your life? Consider investing in a Finnleo Sauna today! It will absolutely do wonders for your overall health. I know I feel a difference since purchasing mine last year. I’m not a major fan of extreme heat, so I own an infrared sauna. Luckily, Finnleo is the only sauna manufacturer to offer a full range of saunas, from infrared to traditional to units called InfraSaunas that allow you to choose between infrared or traditional steam sauna bathing. Whatever your preference, I know you’ll love it! Want to read more? Here’s the recent publication from the Mayo Clinic.